"Fara helped me when I was 4 months post-partum and dealing with post-partum thyroid issues, along with adrenal problems. She is very knowledgeable about the thyroid and guided me to the correct tests so we could get a good baseline and get started on healing. One thing I like about working with Fara is that she has many ideas about how to approach a health issue, so we can set goals that are realistic for a busy mom of two small children. She is quick to respond to random questions and reaches out to her colleagues and does her research to find answers to anything that comes up." 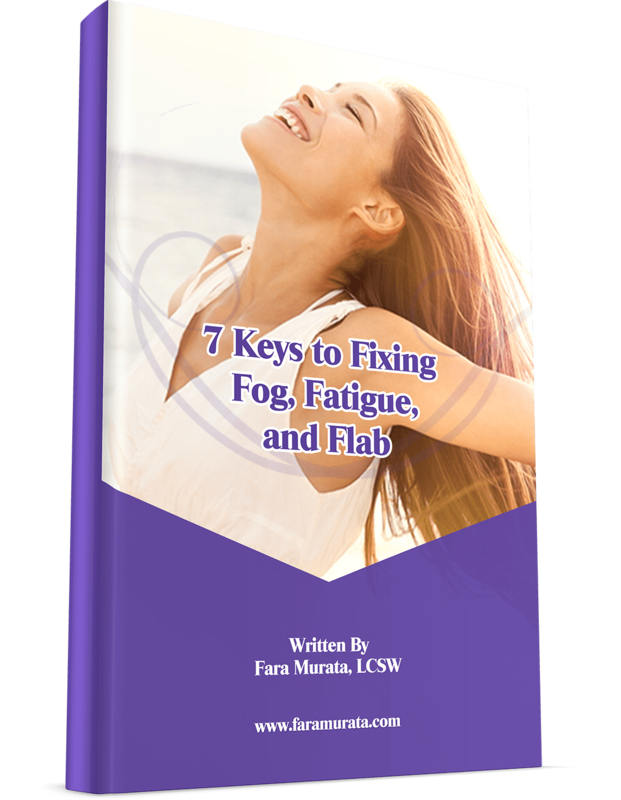 "I have been dealing with anxiety and sought Fara’s help, because I wanted to treat my issues naturally and address the cause of these feelings. Fara is proactive in evaluating supplements, adjusting based on my symptoms, and is really invested in helping me make lifestyle changes that will get/keep me healthy physically and mentally. She talks to me about diet, supplements, and overall mental and spiritual well-being. She checks in with me frequently and listens to me without making me feel judged. She continually looks for new natural products and stays current with medical information that may help."